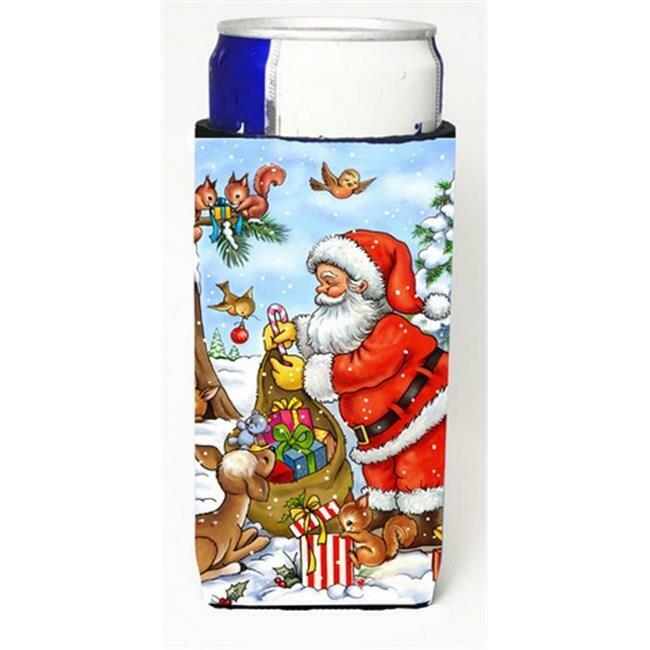 Christmas Santa Claus handing out presents Michelob Ultra Can Cooler for slim cans APH5444MUK - Caroline's Treasures creates artwork products for the garden and home. Most of their raw materials are domestically produced and most of their products are 100% USA made by Caroline's Treasures. They focus on functional artwork and bring in glamour to your home.